Conjuring beautiful faces, dealing with celebrities and sourcing & producing amazing shoots for celebrity, advertising & fashion photography & motion shoots: There is nothing that dedicated Gina Hole from THEY Produce can’t handle! Thanks to more than 30 years of experience, she understands everyone’s needs – from the photographer, the artist to the end client. Based in one of the most beautiful cities in the world, Vancouver in Canada, clients come from all over the world to work with her for say an editorial shoots in magazines like INTERVIEW or INSTYLE. Gina Hole is a pro in this industry – no matter if it’s about fashion, advertising or celebrities photo/motion shoots. What is the story of the company that has its 10th anniversary this year? Please tell us something about your part on it! Yes! It’s already 10 years ago that I started producing the photo shoots for the photographers we represented through our sister company, THEY Representation (THEYrep.com since 2004). Within our photographer division we found out that by producing our own photo shoots, we were able to provide another and better level of quality shoots and in fact even on budget. Plus we could maintain a great relationship with the clients since we were taking them from first point of contact, quote, shoot and all the way through to deliverables and the final invoice. It was the best way to build up and to achieve wonderful relationships with repeat client bookings. Since we re-branded in 2016 as a full photo & motion production company as well as offering art buying services, we are now able to work with ALL the pro photographers in Vancouver (Canada), instead of only a few in the agency. Therefore THEY Produce is able to source from a multitude of different styles for our clients. We still maintain and work closely, sourcing jobs and producing for the photographers we once represented, so it’s a win-win for all! Can you also give us some insights about the journey of being a professional make-up artist to becoming a producer? Where does the passion for producing come from? And what was the most exciting time of your career? 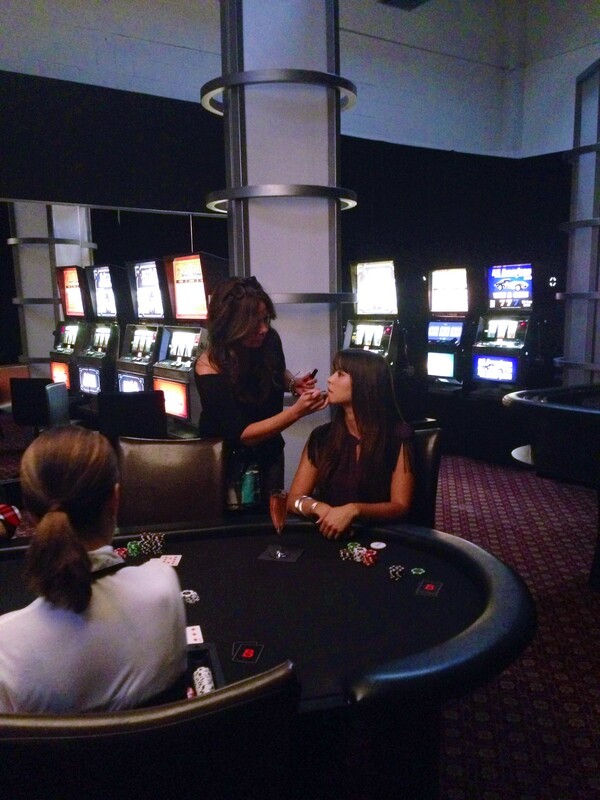 I worked for 20+ years as a professional makeup artist, throughout the various industries beginning in print fashion, then celebrity, rock videos, commercials and feature films. I feel that having worked in all different capacities and mediums of these industries, it taught me about every little detail and how sets operated. Plus my connections reached far and wide, so the natural progression was to become a producer. I jokingly refer to myself at that time as “the bossiest makeup artist” – I kept doing the AD’s coordinating for them as I could easily see the ‘whole big picture’ of each shoot, and what it took to make the day more time-efficient…most were appreciative, some looked at me strangely, ha-ha! That ‘bossiness’ I found was really ‘passion’! I love, love, love putting all the pieces of the puzzle together and making it all come in under budget (a must!). It works well with my personality that can juggle 10 balls in the air at once. The fav time in my career had to have been when I lived in Los Angeles and worked as a Hollywood Makeup Artist & Hair Stylist. I was represented by the top agency in LA at the time, Celestine. The owner Angelika Schubert later became my mentor and encouraged me to open my own agency after I was back in Canada. To this time I owe the great relationships with those contacts in LA. I got to work then as a personal makeup/hair artist to some the young and hot ‘Up and Coming’ talents (it was the 90’s) like Robert Downey Jr, Drew Barrymore, Sarah Jessica Parker, Sarah McLachlan and the Red Hot Chili Peppers. 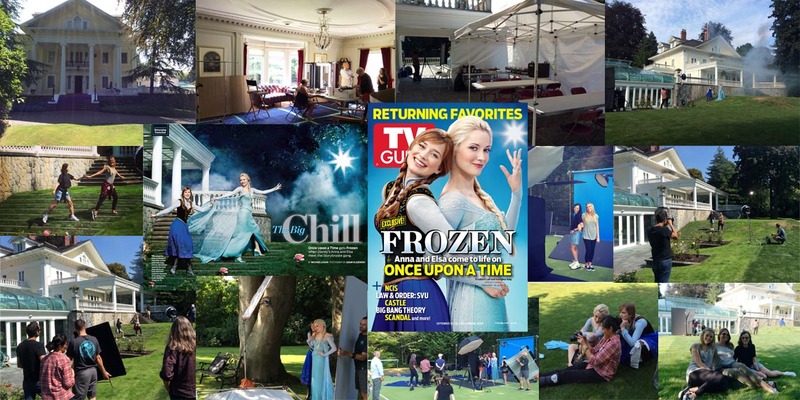 Working with celebrities on photo shoots, as well as feature films, brought an awareness of ‘attention to detail’ like no other training ground. So I consider this one of my specialties for sure! THEY Produce focus on being a high-end production company for shootings with celebrities – What are the advantages and what are the shadows of this business? Yes, we do high-end for clients worldwide, but lots of our work is actually for our local Canadian fashion & advertising clients, some whom we now call friends. We enjoy it all as it brings something new to the table each week. Look, sometimes we are going from an exorbitant celebrity ad shoot with a budget of $3000 for food, to another shoot during the next week, where we have a budget of $150 for a light lunch, but I have to honestly say we love it all…in some way the $150 budget to feed 6-8 people was the most challenging, but we NAILED it! And all with healthy, vegan options and organic, along with sustainable jugs of purified water (in the end the food total came in at $146! laughing)…THAT is a challenge we love just as much as providing the very best for huge photo & motion crews. We never think it’s ‘too big or too small’ – it’s just ‘whatever the client needs’. Do you have any exciting projects coming up soon? Is there a certain one you would love to do in the near future? 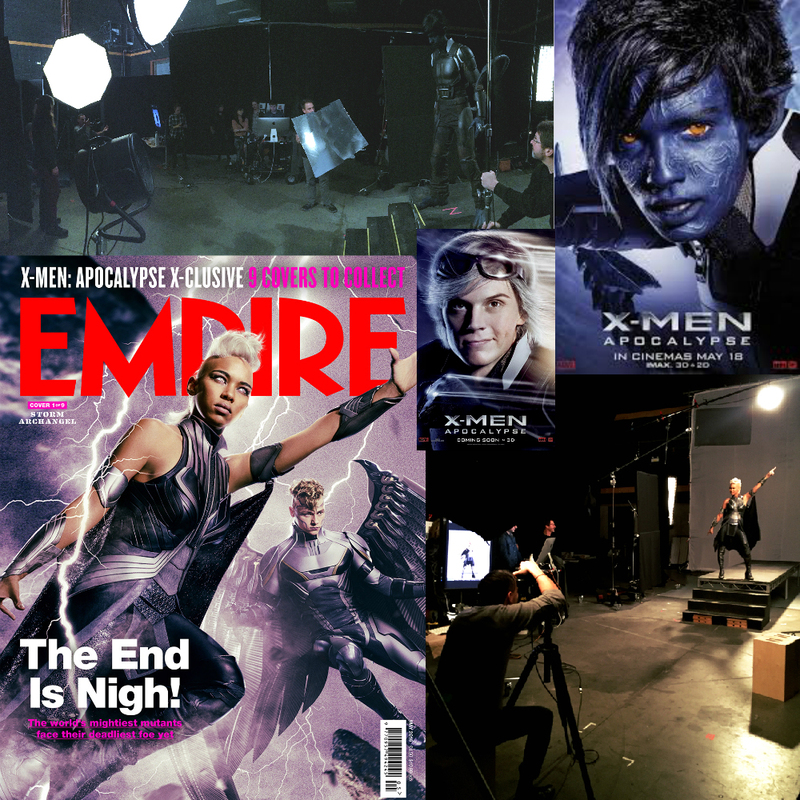 Well, we just released right now the advertising for “X-Men Apocalypse” (with a big component in the UK for “Sky TV”)! It was a privilege to be invited to produce both the stills & motion components for photographer & director Nino Munoz, whom is just one of the most talented and nicest people I have met in the business, as well as personally. 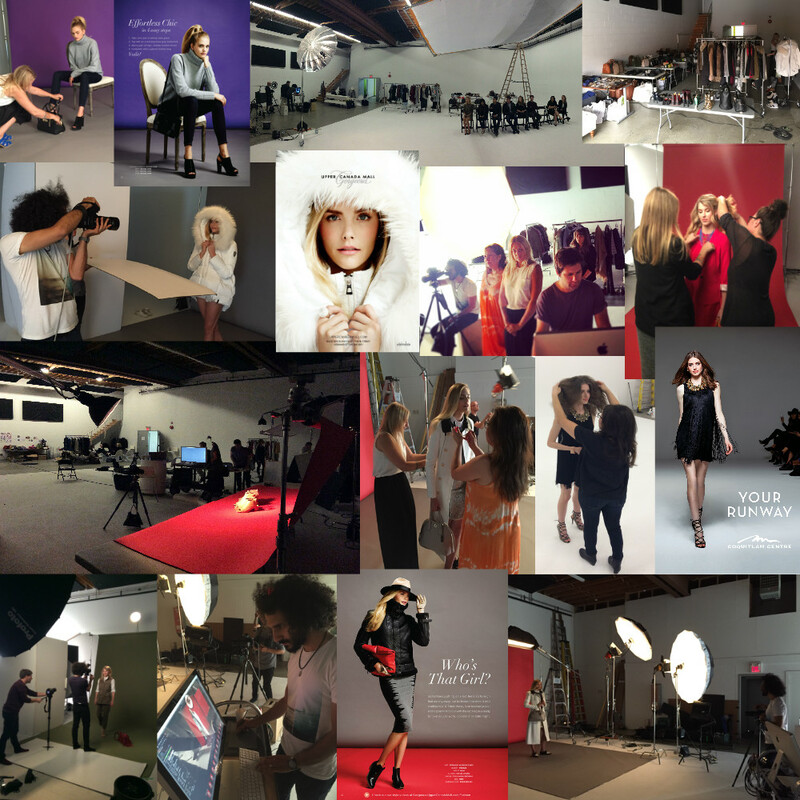 We are also very busy with fashion campaigns with our wonderful clients at Suburbia Studios, who keeps us very busy with fashion projects in BC & Alberta, as well as in Toronto. Right now we are also doing art buying/sourcing photographers for a multitude of US clients coming to Vancouver to shoot. 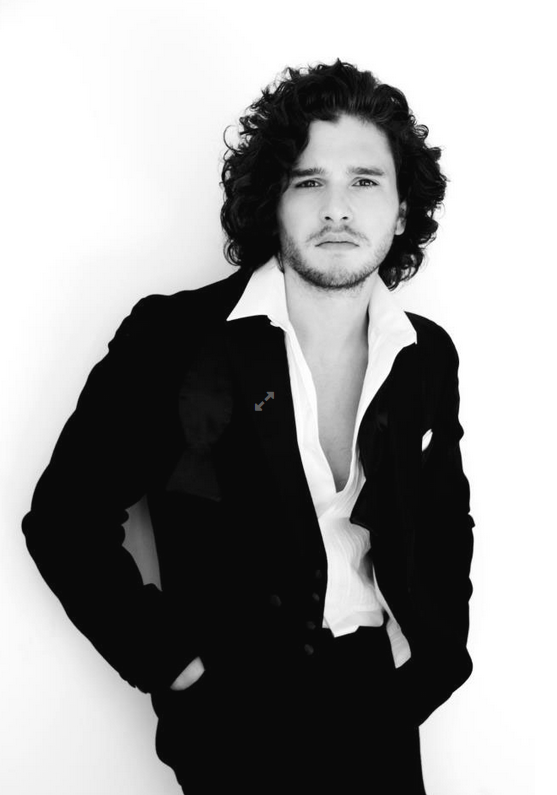 I can’t say names yet, but let’s just say major US advertising brands…Vancouver is HOT for shooting! I am pleased to find & provide access to the many talented photographers and crews right here in Vancouver, and even some from across North America (some in the UK as well), I love it when the clients find exactly the right ‘fit’ for their project. 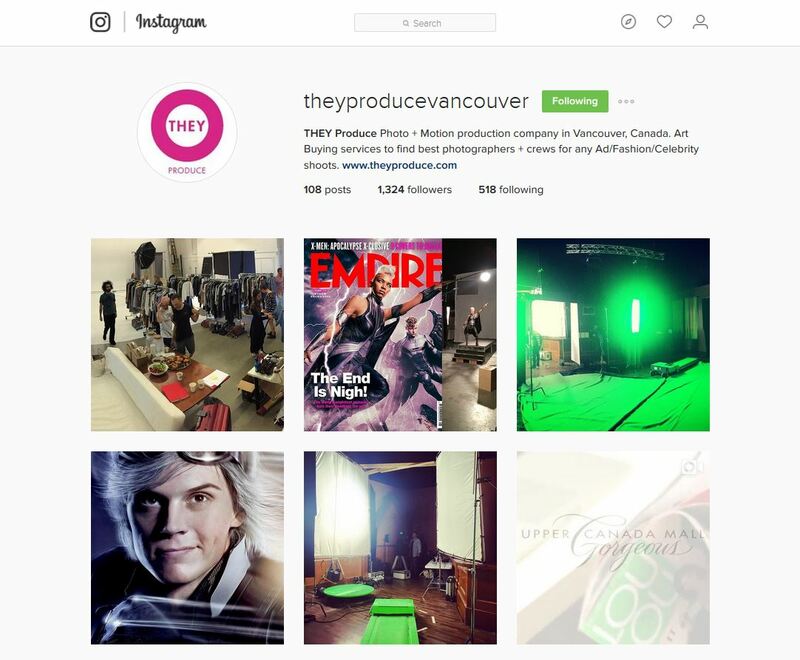 Vancouver is said to be the 3rd largest Film & TV Production hub in North America, can you tell us what makes Vancouver such a great production location, not only for Film but also for Stills? Yes, Vancouver is off-the-chain busy here! We have so many components of what makes it a perfect shooting destination all year around. We have the epic locations everywhere: mountains, the ocean/beaches, forests/nature, downtown cityscapes, even glacier/ski shoots at the world famous Whistler Resort, only 1.5 hours out of the city. You can shoot on the mountain in the morning and finish the day on the beach for summer shoots with golden lighting that lasts up here until sometimes 9pm or even 10pm at night! Also the crews are world-class. There used to be a time when all of the ‘A-level’ talents were flown in for key positions, but you rarely find that anymore. We have New York level beauty teams & stylists (who also work in NY) as well as you will find on any given motion job Academy Award and Emmy winners and nominees, no big deal…and last but not least, there is that SMALL factor of our Canadian dollar that is at around $.70 cents to every $1 US dollar. US clients are saving over 30% on their budgets by shooting here, UK clients, at times, are almost at 50% savings! It’s crazy…and we don’t see our Canadian dollar rising for a while, so we all expect to be very busy for the next few years! You have a worldwide client base. Where do you recruit your clients and which is your favorite place to work? Yes we have a worldwide client base, but our clients tend to find us here, as they are bringing their shoots to Vancouver or elsewhere in Canada. 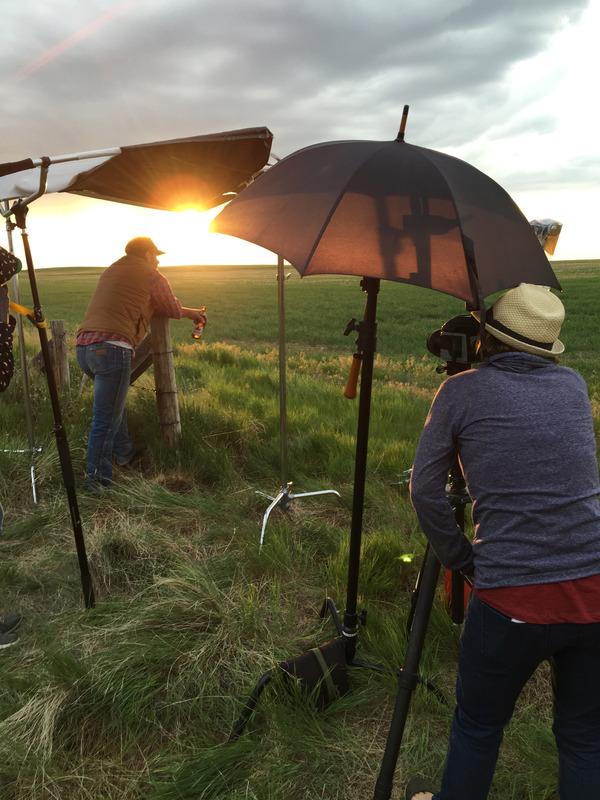 We have produced shoots in barley fields in Alberta, biking shots through Old Montreal’s cobblestone streets to location & studio shoots in Toronto, even recreated an entire casino in Las Vegas (crazy! )…but Vancouver is where the world is coming to now, and don’t forget: “home is where the heart is.” So we love our shoots right here the most, but are ready to go wherever our clients need us to go. The world is really a very easy place to shoot, just recently being back from a trip to London, Dublin, Paris, Venice and Rome. I came home knowing: ‘it’s easy to shoot anywhere’…the world is really a very small place! That sounds amazing and exciting! So, shooting all over the world, but which one was your most memorable project and why? Besides the movie where I met my husband… one of my most memorable shoots was one of Sarah McLachlan’s early videos when she first launched onto the scene…I did her makeup, hair, nails & wardrobe for the video…I also helped set dec, sourced the location, set up and take down AND…Crystal and I cooked all the food, homemade vegetarian CHILI! I ran from doing her face to making sure the chili was hot (smiling)… kind of sums up my personality and passion for making sure everything and everyone is taken care of (I have 4 kids as well, did I mention? ha-ha). You are quite active on social media like twitter and Instagram. How important are the social media channels for you and your work? My theory as an agent, and the advice I tell artists is the old saying: “it takes seven times seeing/or hearing your name for someone to remember it”…I apply this theory to our industry; everyone wants to be not only known, but especially remembered! So I use social media as a way to keep our name circulating…it’s also a double-edge ‘thank you’ to our clients that book through us. Always promote the peeps that hire you, it’s just good business! What has been your experience with Production Paradise so far? Well I love this question, and am happy to say that the VERY next day after I signed up THEY Produce with Production Paradise, and got our site up and launched – I immediately received a call about helping produce a location shoot in Tofino, BC from let’s just say a ‘very large fashion shoot’, for a ‘very large magazine’ publisher in New York City…when I asked the photo editor how she found my production company, she replied quite bluntly, “oh, I only source through Production Paradise”. So nice work, Production Paradise! We would like to thank Gina for talking to us and sharing her story! 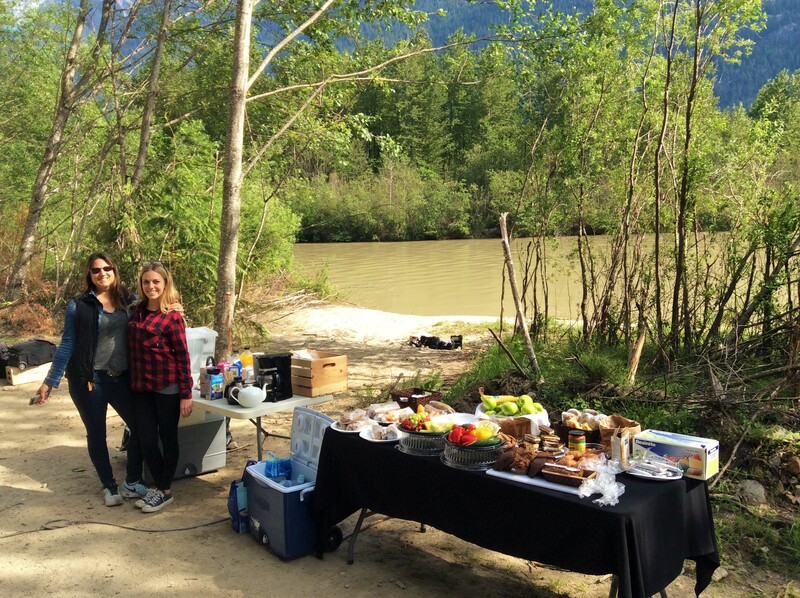 You can see more of her work in her website and on our directory among the best Vancouver-based production companies. To stay updated, subscribe to our Photo Production Spotlight Magazine and Canada Showcase, where we will feature the new work of THEY Produce. 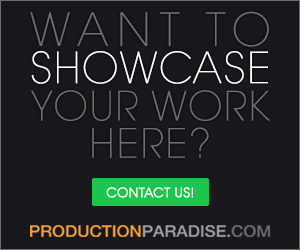 If you are a professional of any field of photo or film production, or if you want to show your work in the next issues of Production Paradise’s Spotlight or Showcase Magazine, please contact us at showcasemagazine@productionparadise.com or spotlightmagazine@productionparadise.com.